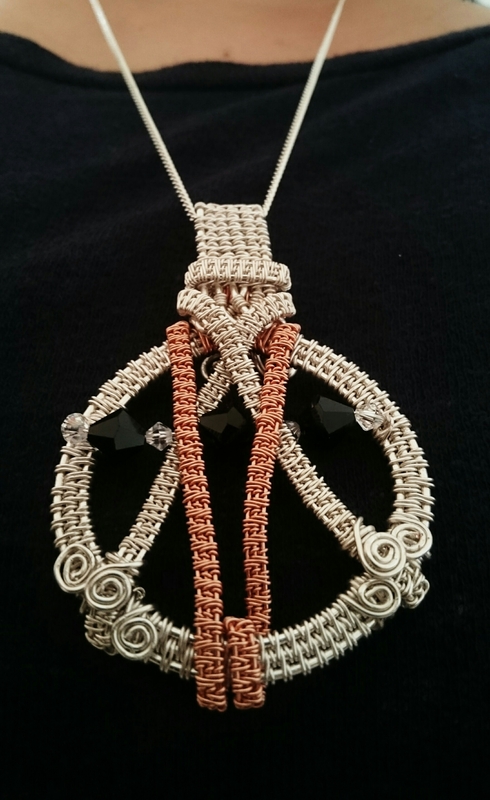 The pendant is made from tarnish resistant silver plated copper wire and tarnish resistant red copper wire studded with white and black Swarovski crystals. The design itself was first of all conceived as a Christmas decoration and in the end it rendered itself to being a pendant to be worn with amazing evening outfits and day time looks. The item will come in a handy pouch for storage. International shipping available – see Etsy shop for details. If you wish to see; or read about the creative process of this piece you can read all about it here: The winner’s medal – the creative process.